Note that this interview was done before the military invasion of the palace of Eze Israel Kanu, the father of the leader of the Indigenous People of Biafra (IPOB) Nnamdi Kanu. Eze Israel Kanu, the father to the leader of the Indigenous of People of Biafra (IPOB) Nnamdi Kanu, has said that everything about his son is proposed by God. Eze Kanu in an interview with Realhitz.com said the ongoing Biafra agitation is so dear to young Kanu. 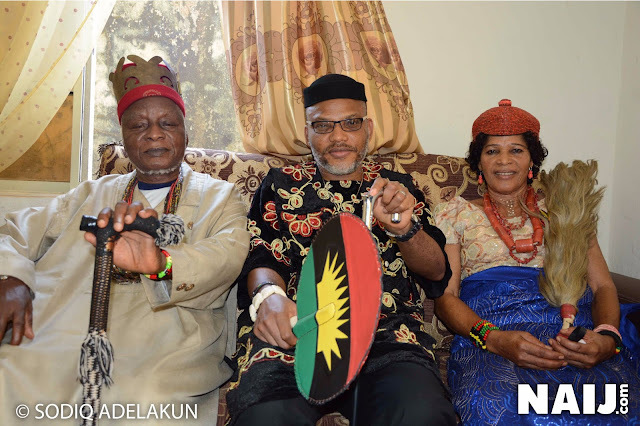 He also said that he is in total support of his son's agitation for the actualization of Biafra. Eze Kanu said: "Everything about my son is the hand work of God. He (Nnamdi) holds what he’s doing so dearly, that was why he left everything he was doing in London. Just to ensure that the people of Biafra are free from Nigeria." "I am over 100% in support of what he's doing. Many people – local and foreigners - have asked me and I told them I am in support of him. I am not afraid for his life because he has God and a lot of people behind him." Speaking on the last sit at home, Kanu's father said it was a good decision to keep people at home. He said many lives were saved from the declaration that members of the IPOB stay at home in honour of some of their loved ones who died in the Nigerian civil war. Recall that the IPOB had ordered all its members to sit at home on May 30, in honour of some of their loved ones who died during the Nigerian civil. The group in its order enjoined all Igbos and those who believe in Biafra ideology all over the country to shutdown their business and stay at home on that day. He also said the process was an easier approach to the Biafra agitation than the regular street march and carrying of placards. However, speaking on the protest, the father to the IPOB leader said: "The last sit at home was good, because he has many supporters, they might want to injure or kill him. I like the last sit at home. And the whole world liked it like that... We listened to the radio and heard all that people said about the last sit at home." Further stating the benefit of the ongoing Biafra agitation, Eze Kanu said: "There is plenty to benefit from this (Biafra agitation). "The Hausas are getting richer and developing their region with resources from our land, even with the emergence of Buhari as a president, look at his ministers, 90% of them are Hausas. And when anybody talks about, he (President Buhari) ignores." He said: "On the refurbishing of Nigeria's railway systems, he ignored the southeast region and concentrated on the northern part of Nigeria. "What did we do wrong to deserve such hatred?" he asked. So nobody would want to deal with someone who hates him; my son does not want war, or crisis, he only wants peaceful dialogue. "What we want is for everyone to have equal opportunity; after all it is from our land that they get everything that has given Nigeria a good name today. "How can the people who own the resources be left with nothing? That is our grievance. Instead of the quarrels and bickering, let us all go our separate ways. "Let everyone get want is due to them, Igbos are a very patient people, people who love to go to school, is also good for the people to receive what they merit in life or their career." "This is very bad because they also forgot that it is in Igbo land that they sell the crops and livestock; this can only happen in Nigeria. "You cannot force yourselves to live among people who do not want you, so the quit notice to the Igbos is a good one, we will stay in our place." He further advised his son to be careful and mindful of enemies while in pursuit of his agitation. I will advise him (Kanu) to be mindful of his actions because one with many enemies needs to be careful but one with everything will be successful," Eze Kanu noted.  Realhitz.com earlier reported that a group, Umuahia Youth Movement, had given the Abia state governor Okezie Ikpeazu 24 hours to dethrone Eze Kanu. The group threatened that failure to dethrone the king will force them to take laws into their own hands. But in response to the group's call for the depose of Eze Kanu, another group - a youth group in Abia state - threatened to shutdown Umuahia, the state capital should the father of Nnamdi Kanu be deposed. The Ibeku Youth Assembly (IYA) alleged that the call for the dethronement of Kanu's father is politically motivated by some politicians.